When healthy, Reategui is the prototypical veteran finesse pitcher. His curveball is solid; he throws it better than your average reliever. Reategui has to keep the ball down, especially against lefties, or he gets hit hard and often. Sometimes I wish he'd just give up on throwing the changeup, it's like a BP ball! He comes right after righthanded hitters, who are lucky even to reach base against him, but he works more carefully to lefties. He gobbles up comebackers, sometimes roaming far from the mound to get a glove on a ball. His pickoff move is only fair. Reategui is a surpisingly good hitting pitcher. And I'm not sure you can say this about a pitcher, but Reategui has some pop in his swing. Interesting sidenote, The Vancouver Orcas have been known to use Reategui as a pinch-runner on occasion. 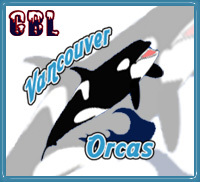 The Vancouver Orcas signed him to a long-term contract, but don't think they won't drop Reategui like a hot potato if something better comes along.